Jan 16, 2019 - TIMMONSVILLE, S.C.
"Over the last 20 years, Honda in South Carolina has evolved from a small ATV manufacturing plant, to a world-class team that can produce a complex model like the Honda Talon sport side-by-side," said Gary Mabrey, president of HSC. "This expansion and innovation was made possible through the efforts of the incredible team of associates who are dedicated to meeting the needs of our customers." Drawing upon countless hours of collaborative development with Honda R&D Americas, Talon brings a new level of off-road excitement, precision, performance and quality - pushing the envelope of what is possible in a sport side-by-side. "The Talon is truly a standout side-by-side vehicle and I’m proud that associates at Honda of South Carolina are part of its development as well as its future," said Chuck Boderman, vice president of powersports division of American Honda. "The sport side-by-side market is showing significant growth and it’s exciting to have the new Honda Talon for our dealers and our customers." HSC began production of all-terrain vehicles (ATVs) in July 1998, with a workforce of approximately 200 associates. 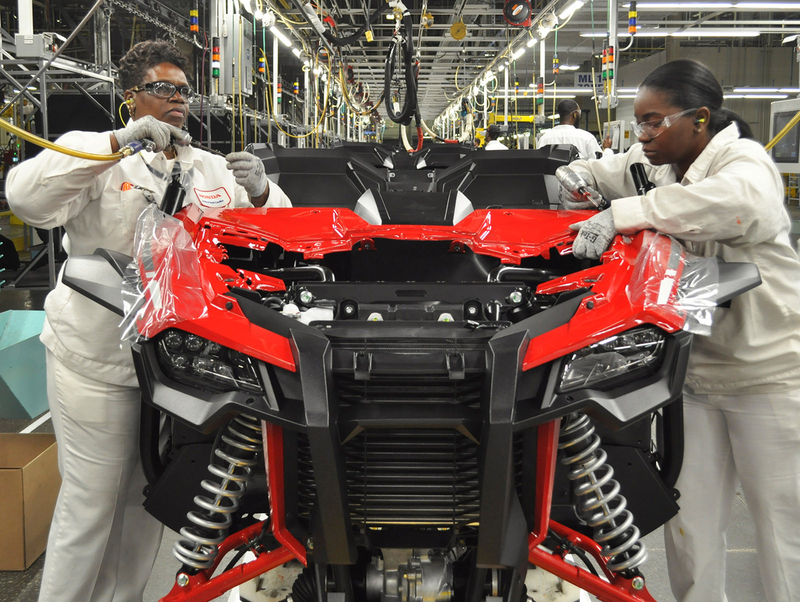 The initial $30 million, 200,000-square-foot ATV manufacturing plant was the beginning of Honda of South Carolina's significant growth in Florence County.